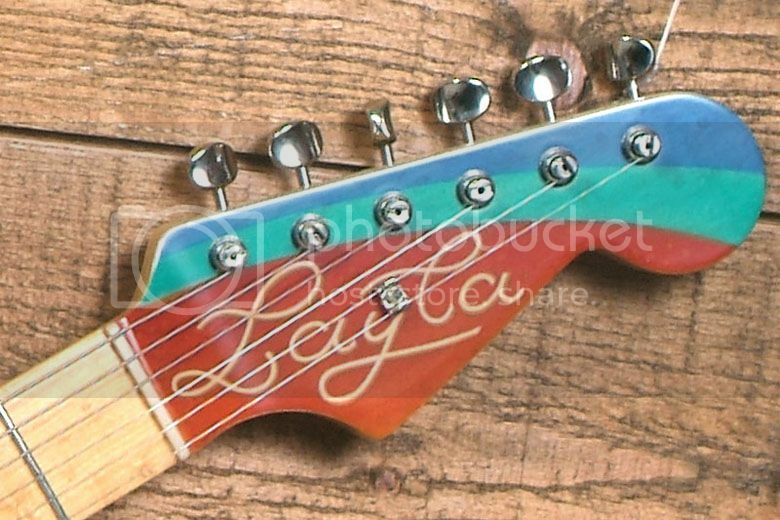 David Kerchove has sent in these photos and specs of his S-style guitars, built by luthier Patrick Robert of France. 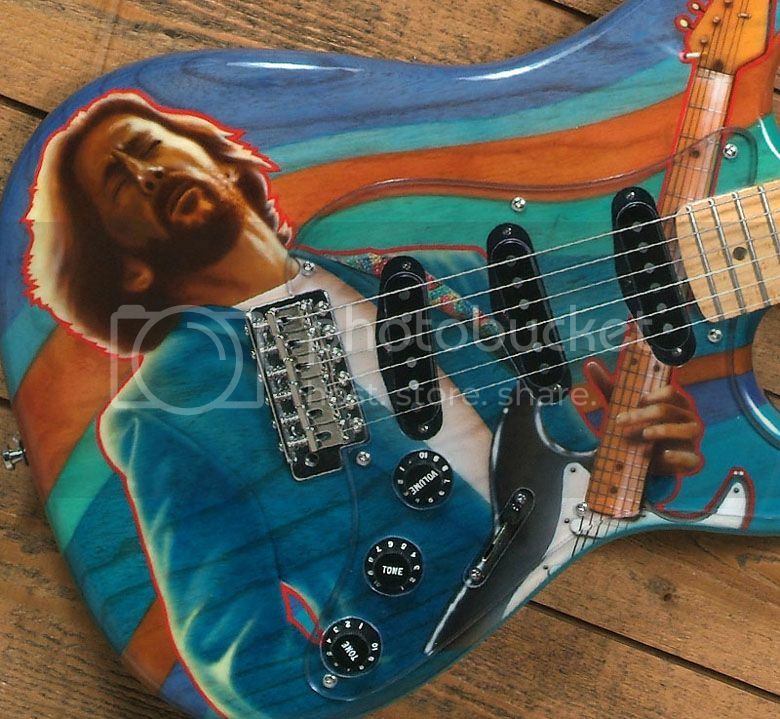 The Eric Clapton S-type guitar seen here features a one-piece swamp ash body, a birdseye maple neck, Kinman Blues pickups with Eric Clapton electronics, vintage style hardware, and unique airbrush work. 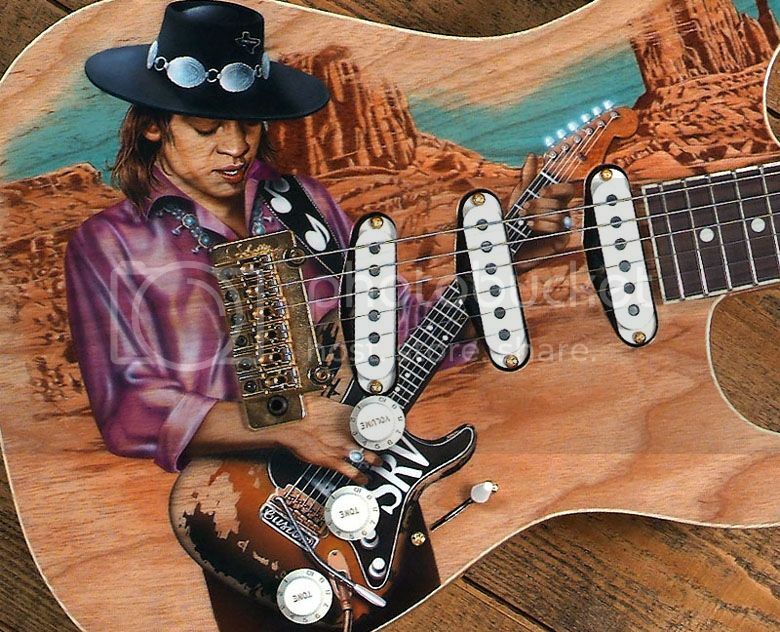 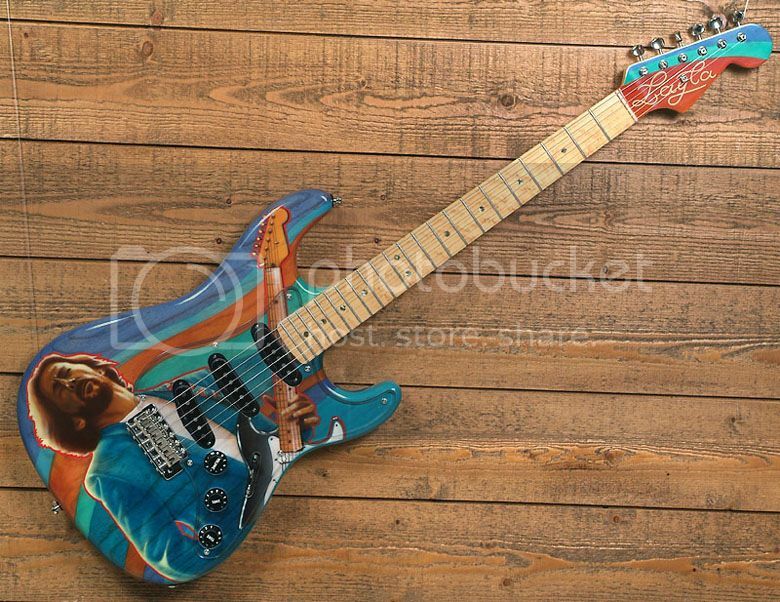 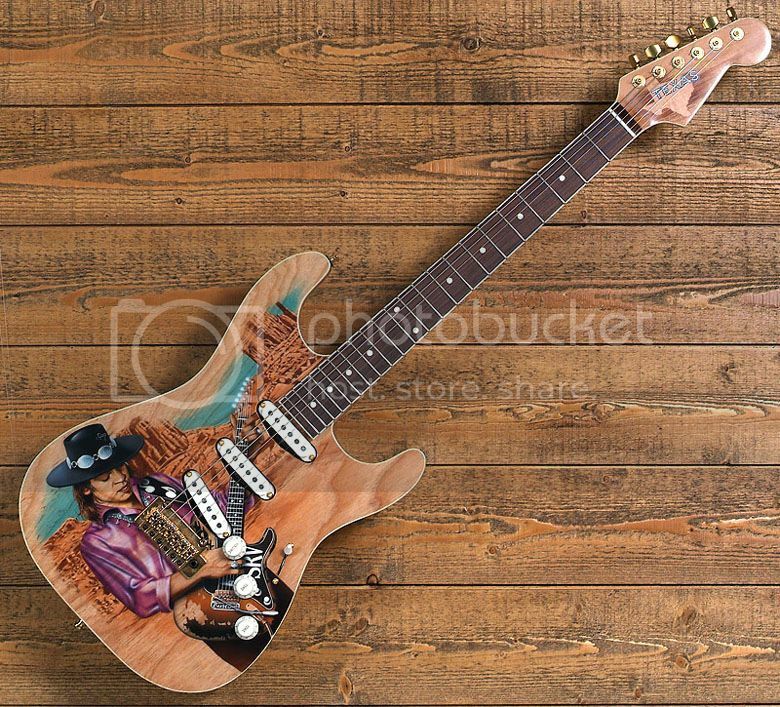 The handmade Steve Ray Vaughan Tribute S-type guitar (below) features a one-piece swamp ash body, maple neck with rosewood fingerboard, binding on top of body plus neck and head, Van Zandt Blues pickups, Schaller tremolo with roller, Sperzel tuners, and unique airbrushed artwork. 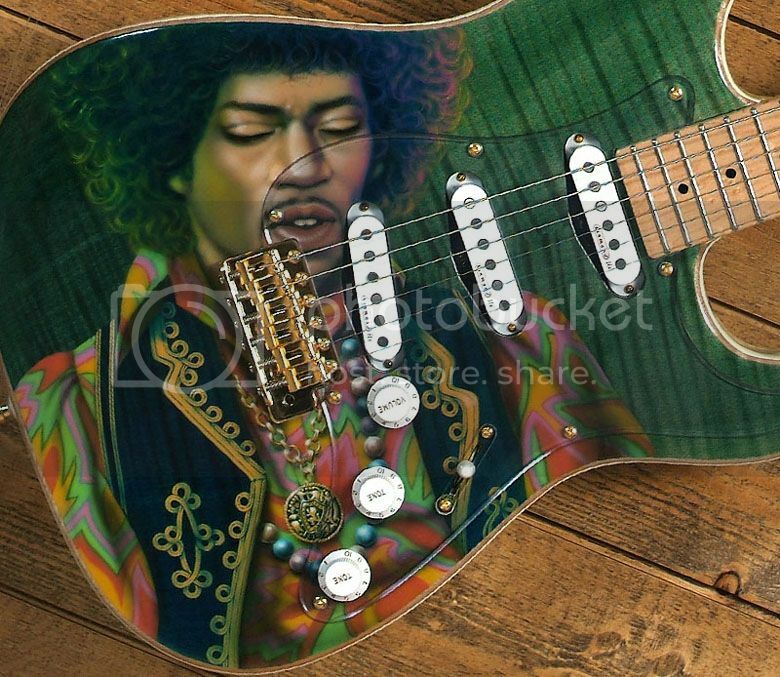 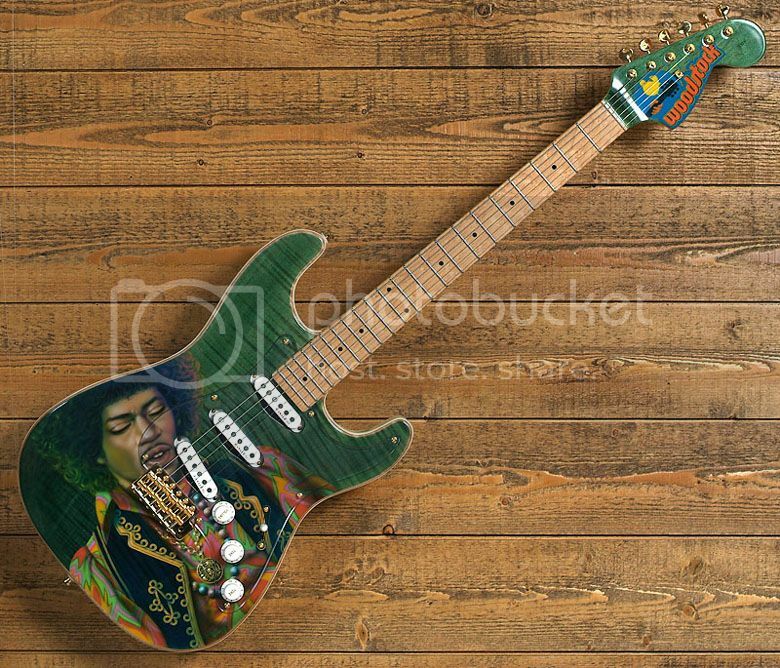 The handmade Jimi Hendrix Tribute S-type guitar (below) is not owned by David, but comes from the same luthier. 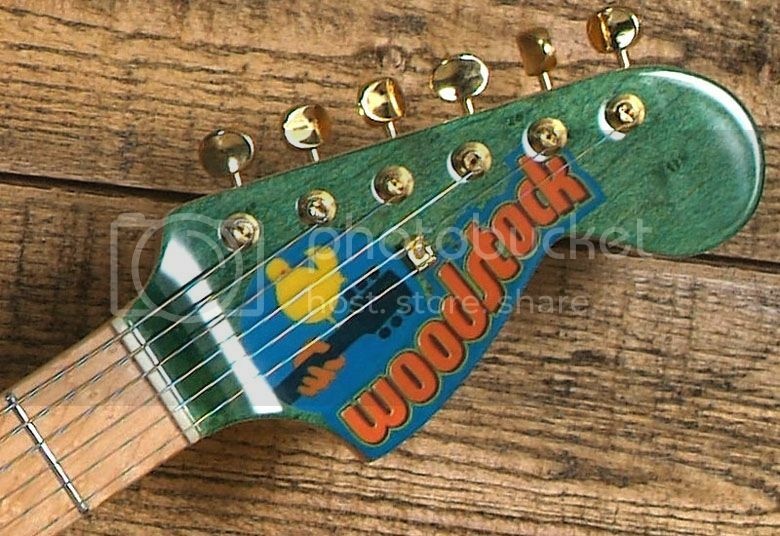 It features an alder body with maple top, maple neck, vintage style hardware, Kinman Woodstock pickups, CTS / Swichcraft electronics, and - you've guessed it - original airbushed artwork! 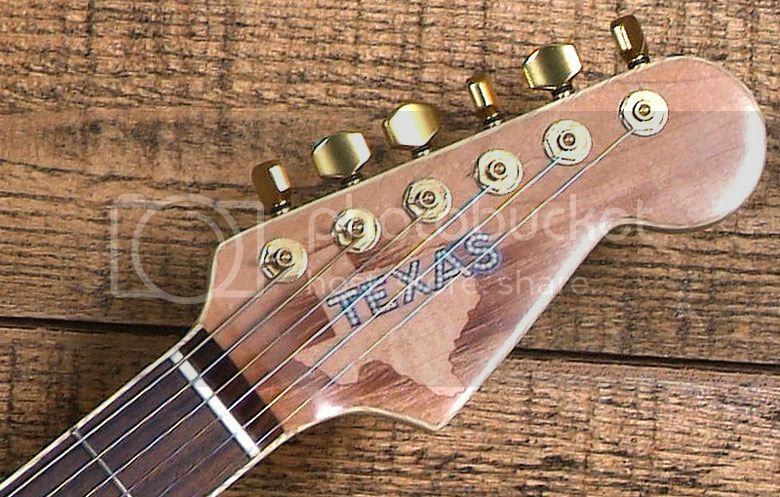 Thanks David, for sharing these with us!